On the left you can see a Oka openplan staircase with curved strings, on this Z form staircase we have wreathed the 2 outer strings and the 2 inner radius strings . 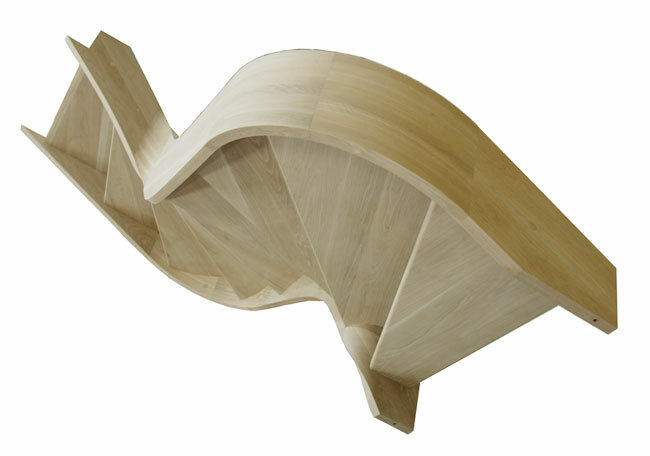 The curved string sections are machined from solid sections of oak using the latest in 5 Axis CNC machinery and Staircase production software. 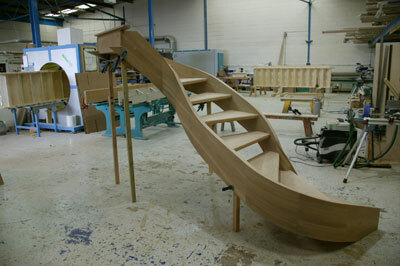 At Stairplan Ltd in Telford we have invested in the latest CNC machinery and stair software to enable us to stay as the leaders in the production of quality wooden staircases. Our continued investment in the latest machines and software means we can now produce staircases far more efficiently and together with sourcing quality timbers to our specification we have a unrivaled product. 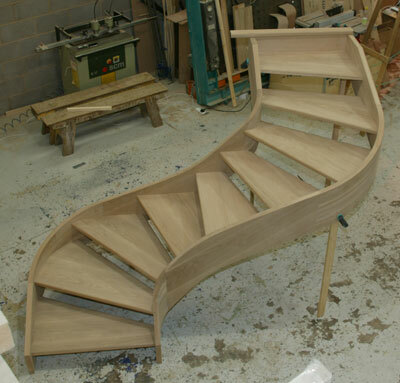 The Oak used in this Staircase is Super Prime Grade American White Oak. The String sections are 40mm Thick and the Treads are 40mm thick also. 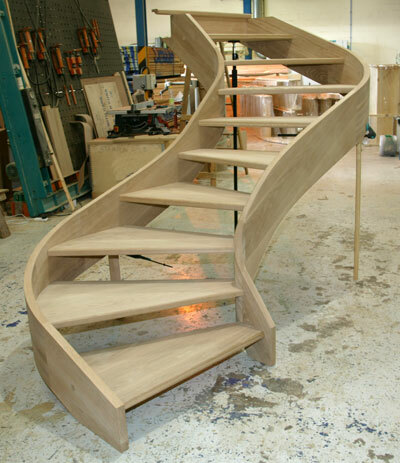 As one of the UK's Leading staircase manufacturers the flexibility of the production we have is not limited to simple straight staircases. This photo shows you the underside of the staircase you can also get a clearer view of the quality of the staircase sections.